This is a fantastic opportunity to live in a brand new master built home in central Sale close to Brennan Park and the CBD. 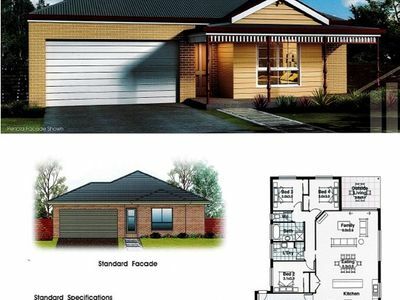 Situated on the corner of Pearson Street and Simpson street you can choose this plan, or from a number of plans, or even build your own plan on this fantastic block of land. The builder is very flexible and keen to meet your requirements. Should you be interested in speaking with the builder please contact me and I will arrange a meeting.